Here's another first while adulting: getting a cedula. 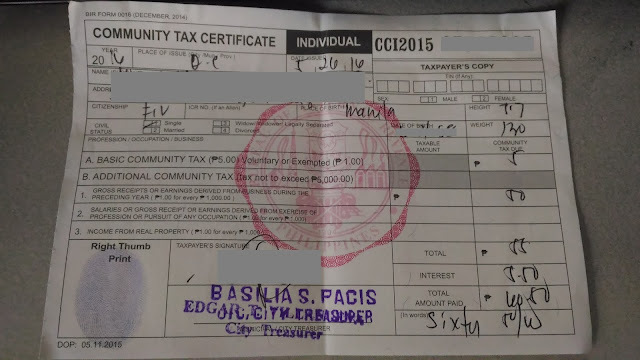 A cedula is the Community Tax Certificate. As to its purpose, I have no idea. I just had to get one as a requirement for a contract I signed. That's all. To me, this is just another way for the government to get our hard-earned money. After living in our area for almost 3 decades, today was the first time I went to our Barangay Center. I didn't even know we had one! But yes, all barangays should have one. Note: She told me not to fill-in the occupation and TIN # so I wouldn't have to pay extra. As to how much, I didn't bother asking. Basta makatipid! 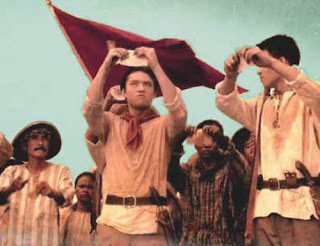 This is so that clerk can fill up the cedula using the information written. Cost of cedula was Php 60.50. (For that piece of paper?!) I thought it'd cost Php 20.